The best laid plans of mice and men..... I was hoping to be a bit further along with my art on a commercial level by now but it seems that I will have to be content with much slower progress. In an effort to progress more quickly I pushed my body (health wise) just a little too hard and set myself back a bit. The pressure is off for a couple of months as far as my photography club competitions go having submitted our final EOY Prints and PDI last night. I am really enjoying my art at present and there seems to be a growing appreciation of it by my peers and the public in general. 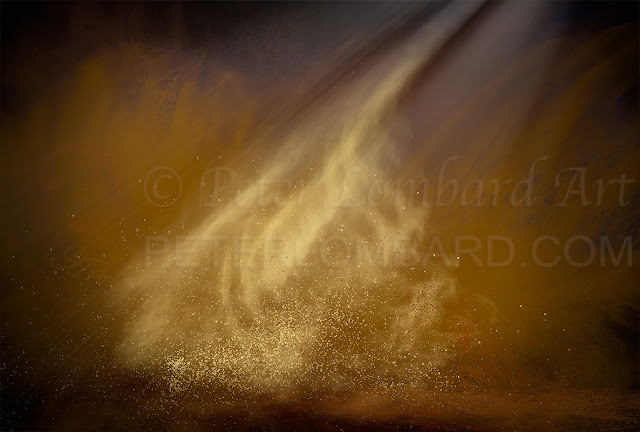 I have been asked by quite a number of people how I create the dust in my Rodeo images. 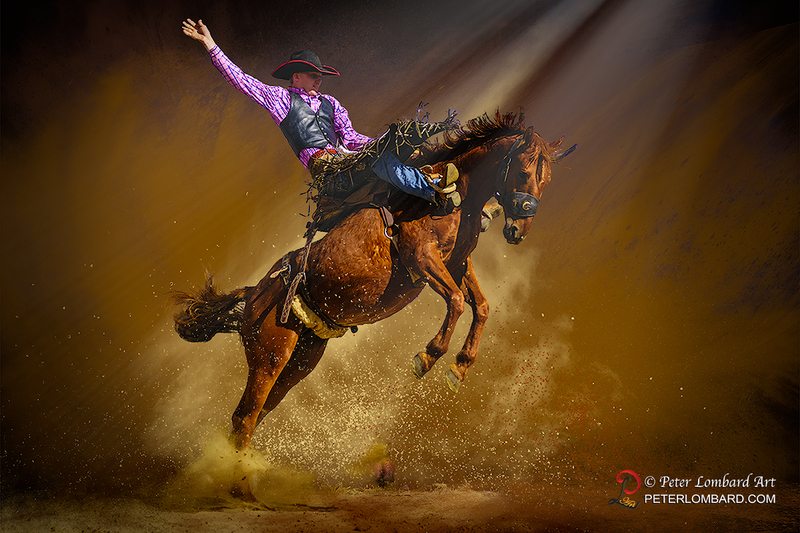 Some are flatteringly referring to my style as 'Western Fine Art'. I do think that I have my own unique style emerging but I'm not sure that I want to be labelled anything just yet. One of the sections or genre catered to by our club is called Altered Reality / Creative ("ARC") and happens to be my favourite section. Most camera clubs do not have a specific section to cater to this genre and due of a lack of support in the Print category our club has announced that it will be discontinued in the new year but entries will still be accepted in the PDI (Projected Digital Imagery) Open section. The news was quite devastating to those of us that do support this genre and when we expressed this to the club they offered one of the more experienced ARC photographers and myself the opportunity to provide a presentation (each) to the members (our styles are very different so too were our presentations). 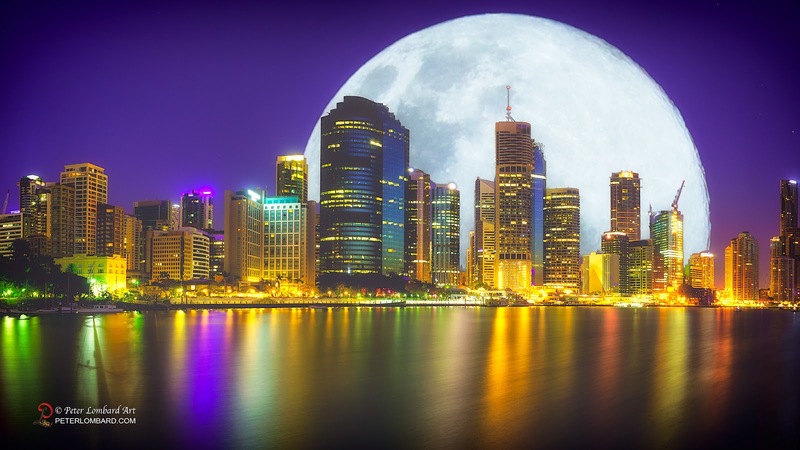 For my part I put together two presentation images which were to become working examples, one basic; Huge moon behind skyline and the other a more advanced; dust and grit layers with provision for members to insert their own element. I wanted to give everyone the opportunity to get a real hands on feeling for what we do and perhaps they too would like to try a little ARC. I provided a step by step construction handout for the first image and I was pleasantly surprised at the number of questions relating to the various processes. In a future blog I'll give a detailed account of the presentation and access to the images so that readers can share the experience. - I need to do a little research on how best to do this. In the meantime I'll leave you with the two images. That is finished but without the main element and the following is with my "Spirited" element. So until next time... which hopefully will be in the near future - take care.